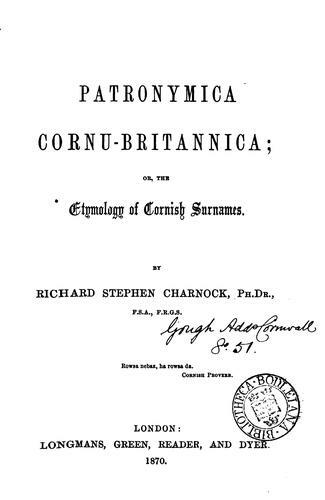 1 edition of Patronymica Cornu-Britannica; or, The etymology of Cornish s... found in the catalog. Add another edition? 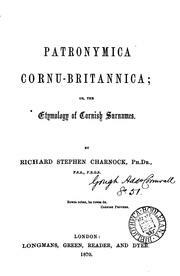 Are you sure you want to remove Patronymica Cornu-Britannica; or, The etymology of Cornish surnames from your list? Published 1870 by Longmans, Green, Reader and Dyer .